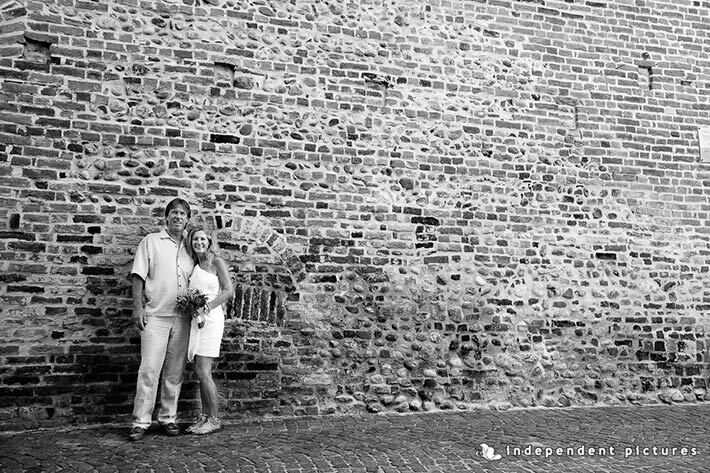 If you think about eloping in Italy maybe the first destinations that will come to your mind could be Italian Lakes or city of arts like Rome, Verona, Firenze, Venezia, or even Amalfi Coast or italian Riviera. Well actually we could help on all these destinations thanks to our planners located all over Italy…. but there could be a different solution… and this is just what Kelly and Alan choose! 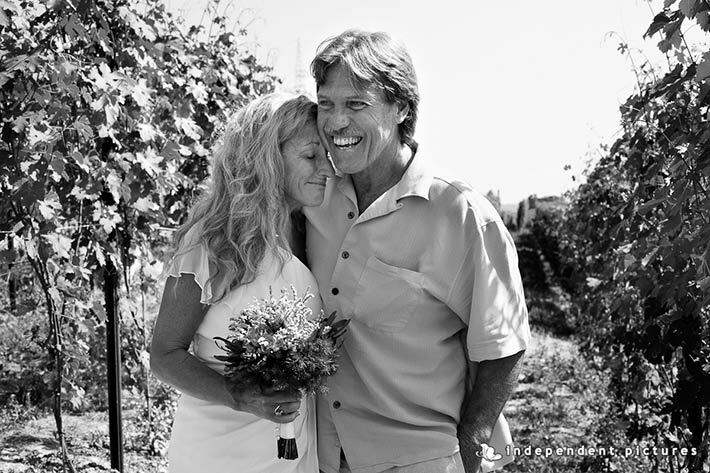 Alan contacted us to plan a surprise view renewal for Kelly in occasion of their 25th anniversary. 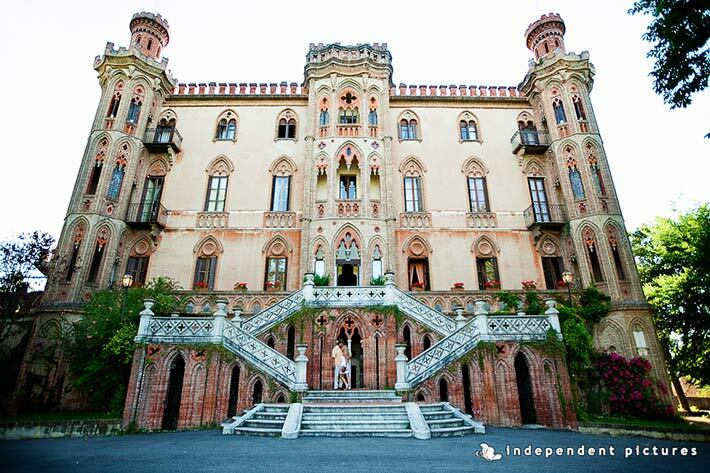 He chose Piemonte countryside – Langhe – for this special event for their love for nature and of course…wine! So in few weeks we planned a great surprise for Kelly… she did not know anything about that! On the day she was absolutely surprised and you can tell by the photos! 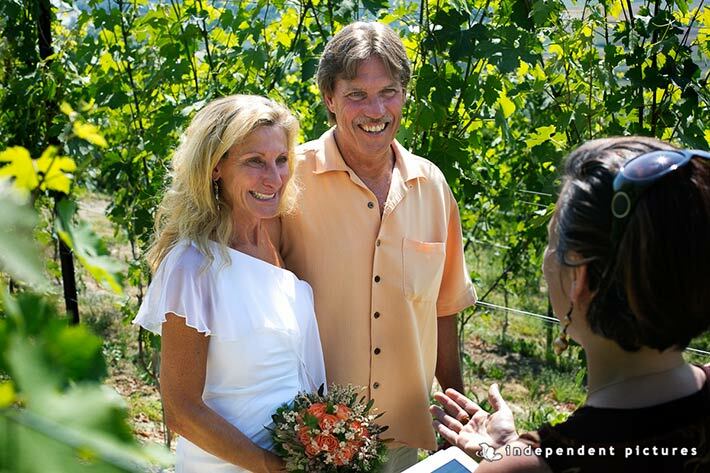 We planned with Alan a private ceremony right in a vineyard of Barbaresco. The hill where we planned the ceremony is called Ovello and it is one of the biggest cru of Barbaresco wine. A private taxi drove Alan and Kelly from their Hotel to this magic place… where you could breath the nature and the straight of the vine plants! A wonderful bouquet was waiting for Kelly. 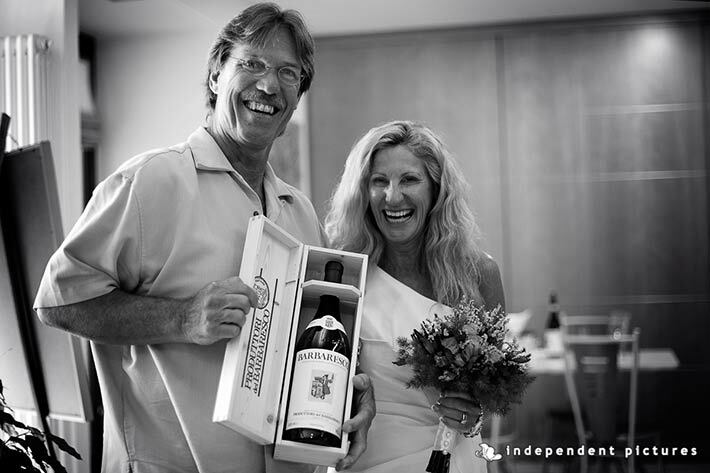 It was a new version of the bouquet she had the day she got married 25 years ago. You cannot imagine her emotion. Ceremony was simple, short but absolutely moving for all including us the only discrete guests for this special event. After the ceremony we planned a wonderful walk to Cantina Sociale of Barbaresco wine producers. 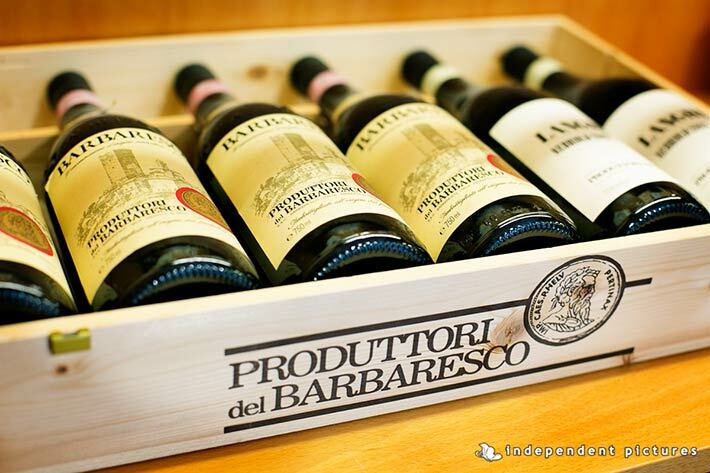 It was established in 1894 and still produces and bottle Barbaresco wine. 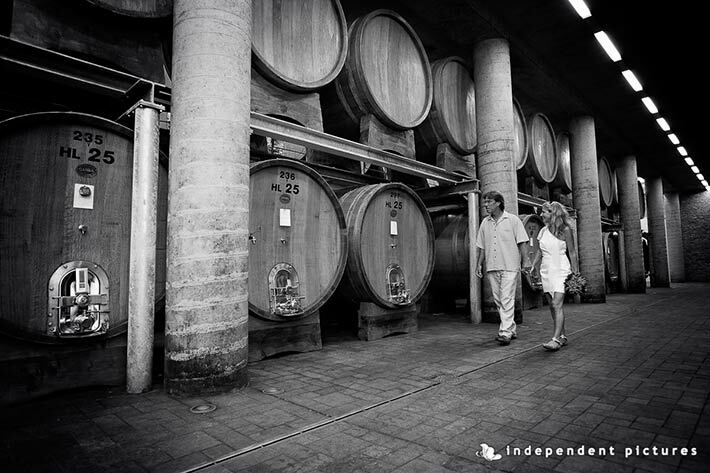 Among big barrels of precious wine and thousand of bottles Alan and Kelly had a wonderful experience and great shots! 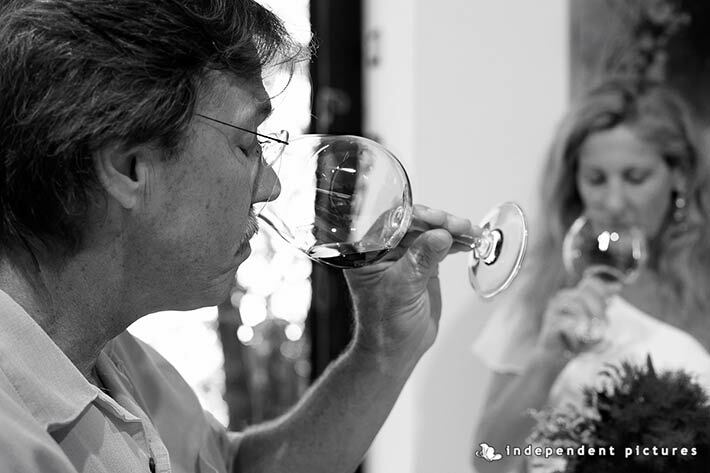 Seeing all that wine without tasting? No way! 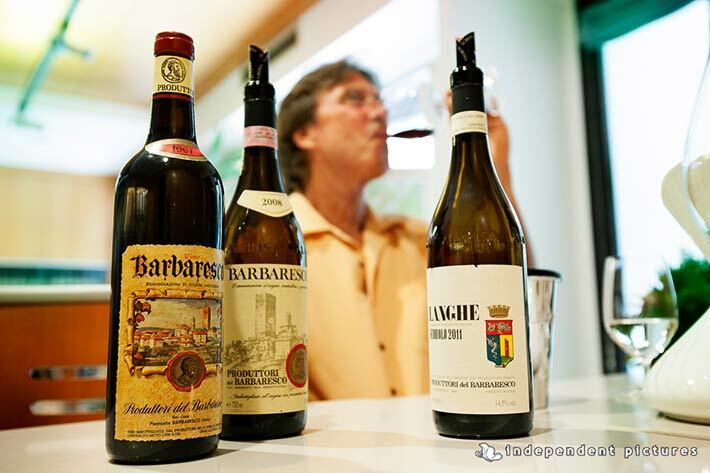 A special wine tasting was waiting for them in Barbaresco village. They had the chance to taste the most delicious wines of Langhe understanding all the process of vilification and enjoying great flavour! Some more photos in Barbaresco and then back to their hotel to celebrate the day with a wonderful Piemonte style dinner. 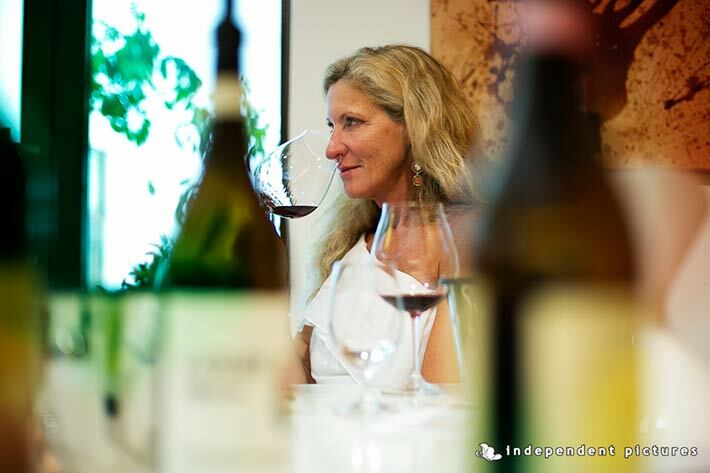 It was surely a great day in Langhe we will never forget! We will never forget Alan’s precision and care to plan the event with us and Kelly’s surprise and emotion. 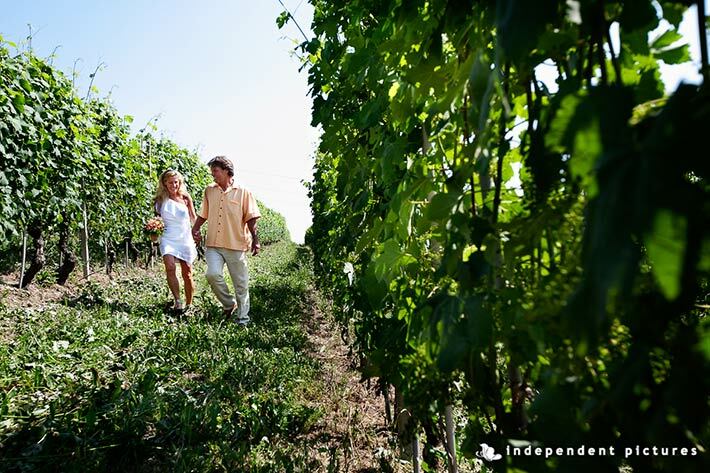 A very special thank to Independent Pictures for these wonderful shots they really make justice to such an amazing day in Piemonte countryside. 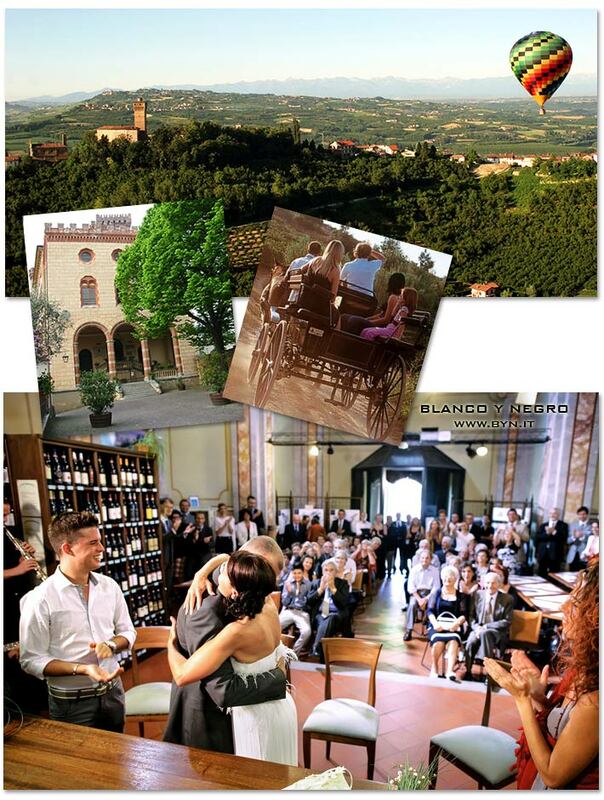 This could be only a solution for a elope or a wedding for two or very intimate event in Piemonte countryside, but we could suggest many other solutions! A legal civil ceremony in Barolo Castle with Barolo wine tasting to follow, an intimate civil ceremony in Barbaresco inside the wine cellar of the village with horse cart ride to follow around the hills, or even a special blessing on a hot air balloon flying over Langhe hills… this could be just amazing and really less expensive than you may think of! 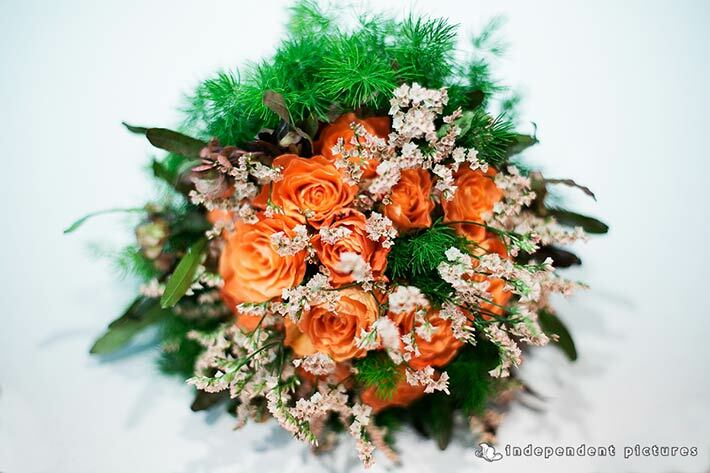 Just not not hesitate to contact us we will be happy to help you and support for your special country elope or country intimate wedding in Piemonte countryside!